If you were keeping score during Apple's iPad keynote on Wednesday, you noticed AT&T and Verizon listed amongst the carriers that will get the new iPad, but what about Sprint? It's going to be rockin' LTE in the not-too-distant future, after all. 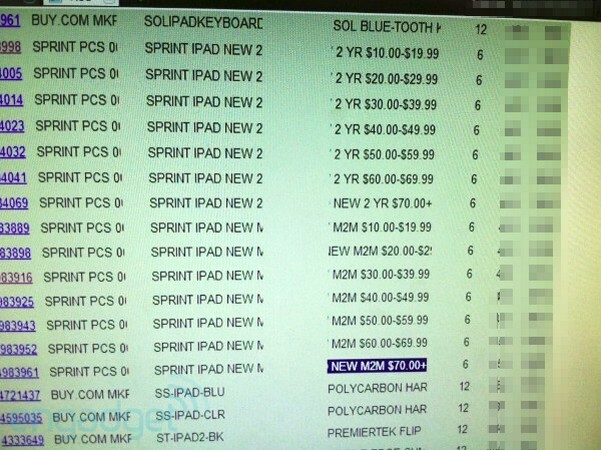 Well, if our eyes dost not deceive us, what we're seeing above (and below) may help put friends of the Now Network at ease: the new iPad for Sprint has arrived in Best Buy's internal inventory system. Does this mean we're going to see the devices magically show up next week at the electronic megastore?